1. 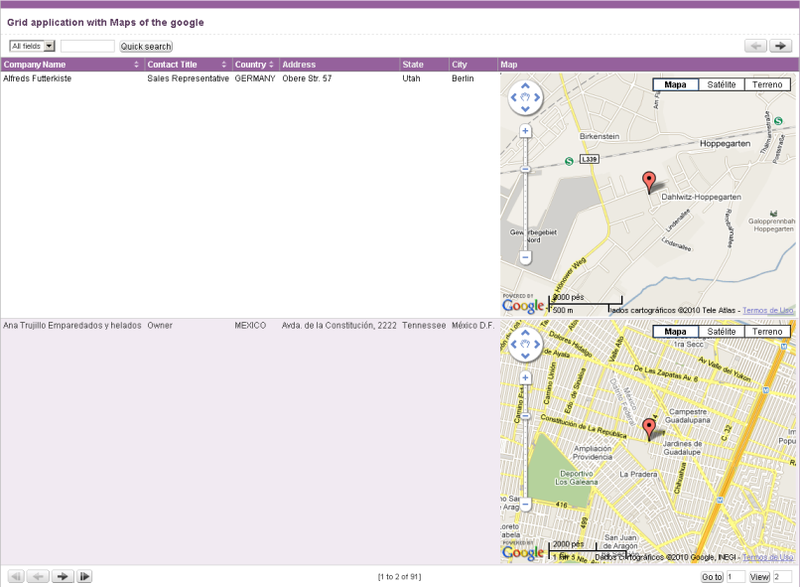 To display the Google Maps in a Grid Application, first we will create a new field on the Grid. 2. Select Google Maps type. 3. Then we must edit the field settings. 4. We have 3 ways to use a Google Maps field: Geocode, Latitude and Longitude and URL. GeoCode – Indicates which fields of the Grid provide address. Will be transformed into geographic coordinates for its location on the map. URL – Defines the field of application that contains the url of the location. Latitude – Sets the field that contains the latitude of the location. Longitude – Sets the field that contains the longitude of the location. 5. 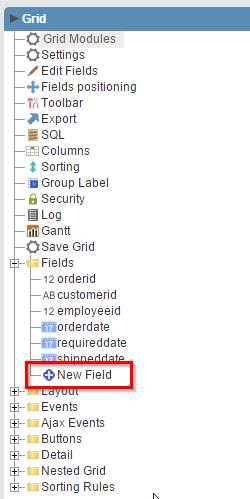 In this example we will use Geocode and select Country, City and Address fields to get the location. 6. Select to display it on the Grid. Note: API Key is a unique key composed of a string (text) alphanumeric, which is nothing more than a license to use this service. When you sign up to use the service, the key is joined to a domain and a directory on the server. All pages that use the API must be under the directory that was used to register. If you have a web server on your machine, you just get a key for local tests, and that’s just put http://localhost in the domain field during the registration.